Stephanie S. Rosen. 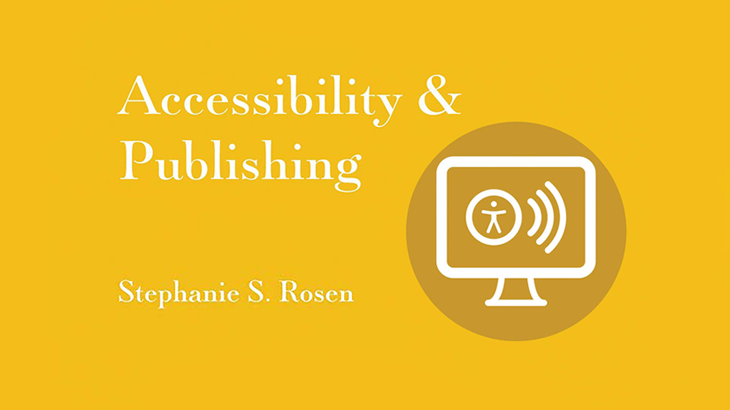 Accessibility & Publishing. USA: Against the Grain Media, 2018. Participation. New York City: NYU Press, 2016. Society for Disability Studies. “Publishing Accessible Books.” SDS website. This roundtable will be held on Tuesday, February 12, 8:30 – 9:45am, in the Woodruff Commons Seminar Room of the Rose Library on the 10th floor of the Woodruff Library at Emory University. If you plan to attend this roundtable please RSVP here: https://goo.gl/forms/IAqGzMRW1jBoK9rc2. And please feel free to share the attached flyer with others who might be interested. The workshop is co-sponsored by the Digital Publishing in the Humanities Initiative, Disability Studies Initiative, and the Emory Center for Digital Scholarship. events accessibility, digital accessibility, digital publishing, ECDS, Event. permalink.